Welcome home to this Treasure Island model spacious open floor plan w/soaring cathedral ceilings, upgrades galore, split 2 bedroom, 2 bath, plus den/library with almost 1900 sq ft of living space.IT has a formal dining room plus eat in kitchen and inside laundry.Recently painted inside and out,has beautiful upgraded laminate flooring through living room, formal dining and and den Den has sliders to back patio.Berber carpeting in bedrooms. Master has an additional seating area with door leading out back.. Beautiful wood grain kitchen cabinets with Corinne counters.Whole house water softener. 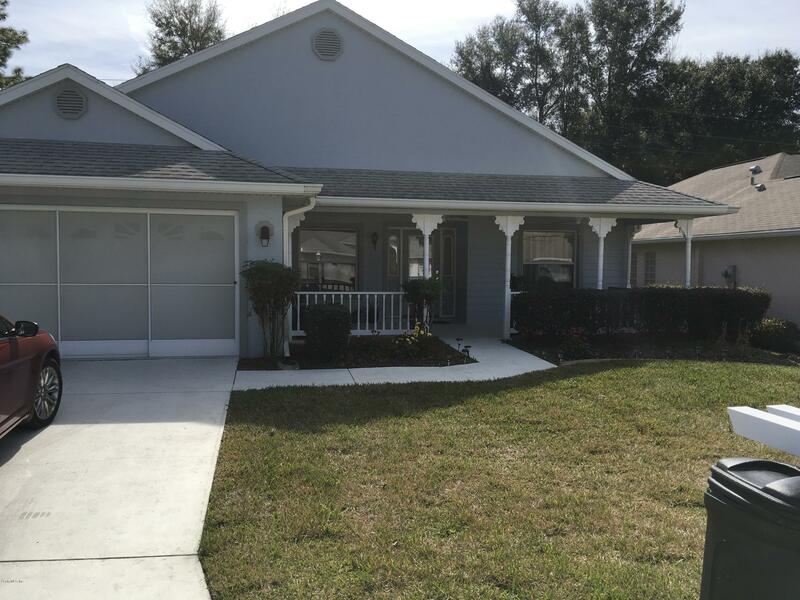 Lawn care is included in the HOA fee .Enjoy the Florida evenings on the cute front porch under the new ceiling fans.